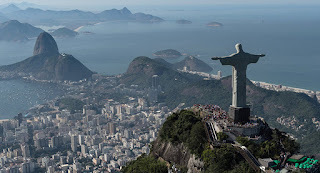 Rio de Janeiro has been recognised as the 'World Capital of Architecture' for 2020 by The United Nations Educational, Scientific and Cultural Organisation (UNESCO). Rio de Janeiro will be hosting the World Congress of the International Union of Architects (UIA) in July 2020. The theme of the 2020 World Congress of the International Union of Architects is "All the worlds. Just one world". UNESCO in the release said that "Through the range and quality of its activities, the World Capital of Architecture in Rio de Janeiro will demonstrate the crucial role of architecture and culture in sustainable urban development". UNESCO designates the World Capital of Architecture as per the partnership agreement with the UIA. The World Capital of Architecture also hosts the UIA's World Congress, an event that takes place every three years. Q. Which city has been recognised as the 'World Capital of Architecture' for 2020 by The United Nations Educational, Scientific and Cultural Organisation (UNESCO)?